Fish family is predominantly the largest living underwater animals. Categorised into four important classes namely: Placodermi, Chondrichthyes, Acanthodii and Osteichthyes, these aquatic animals vary from each other in size, color, and other special physical features. While some like to stay on shallow waters, others can only thrive deep-sea feeding on planktons. It comes from the family Miridae which is characterised by a short bullet-like body that ends almost abruptly; the Hoodwinker is slightly different from the other species. With the slim, sleek adult body shape with no snout protrusion, this fish is the largest of the sunfish species. The Hoodwinker which measures up to 3m in length and 2t in weight is found mostly in New Zealand, Australia, South Africa, and Chile. This deep sea animal is found globally in temperate and tropical waters. The fish is the largest of the bonefish measuring 3.4 meters and 2,000kgs in weight. With eyes appearing strategically more at the front of the head, this fish has an oval body covered with small dermal denticles and prefers to stay in warm waters during the day. After the Sharptail mola, the Beluga sturgeon is the second biggest bonefish on earth, measuring up to 7.2 meters in length and 1,571kgs in weight but due to massive fishing for consumption and the females’ roe, the recently caught measured 3.4meters and 960kgs. The Beluga boasts of being the largest freshwater fish in the world, and due to its late maturity, it can live up to 118 years. This fish rivals other shark species for the title of the largest actively predatory fish and feeds mostly on other fish and seal pups. Unlike other large fish globally, the Southern sunfish stays near water surface busking. With a small mouth and parrot-like beak, this creature measures up to 3.3meters and 2,300kgs in mass although they can also grow to greater sizes. Characterized by a leathery texture, rough denticles with brown and gray colors, the dead carcasses of this species turns white in death. It is majorly found in the southeast and southwest Pacific, the fish’s range also extends to South Africa. This sunfish credits itself as one of the heaviest bonefish in the world with adults weighing between 247- 1,000kgs and an average length of 1.8meters. With a truncated shape with small fan-shaped pectoral fins, the fish’s body is flattened laterally giving it a long oval look. It thrives in temperate and tropical waters of the world’s oceans, this species swims in high speed and can leap out of the water to feed or run away from predators. Coming from the ray series, it is the largest of its type and can grow to a disc size of 7m with a weight of 3,000kg. 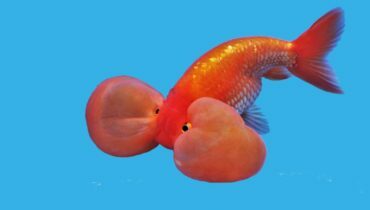 This native of sub-tropical and tropical waters has a flattened body with large triangular pectoral fins on either side. The variety of colors on their upper and the ventral surfaces differentiates them and makes identification easier. Nonetheless, this fish has a smooth skin. This macro predator dominates the tropical and temperate waters with a length of over 5m with up to 635kgs in weight. Being a nocturnal hunter, this shark thrives in solitude and has a wide variety of prey and has gained the title ‘garbage eater,’ thanks to its feeding of inedible human-made objects. This predator derives its name from the tiger-like dark stripes on its body even though they fade with maturity. The white sharks are fast swimmers and live in almost all the coastal and offshore waters with warm temperatures. 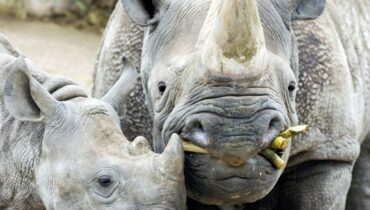 With their larger females growing up to 6.1m and 1,905kg. 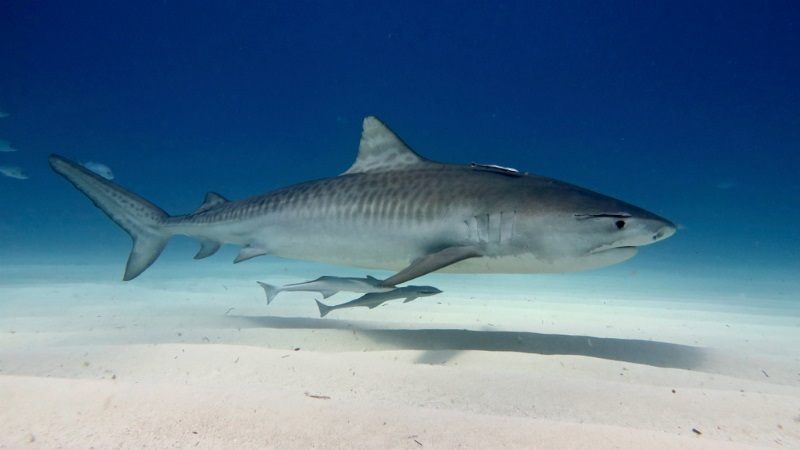 They are the largest macropredators, with a diet rich in marine mammals. This ferocious shark has a large conical snout with a white underside and a gray dorsal area. 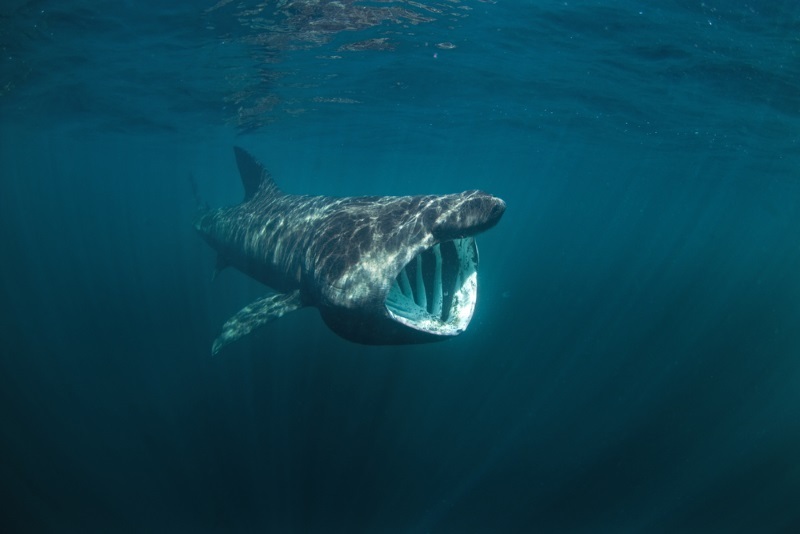 The Basking shark is a slow-moving plankton-eating shark found in temperate oceans is the second largest shark with adults reaching 8m in length and 5.2tones in weight. It has a habit of feeding on the water surface. This greyish-brown molten skin fish has an enlarged mouth with a conical snout. It is the largest fish on earth with a length of 12.65m and a weight of 21.5tones. The Whale shark is also slow moving plankton and small fish eater with minimal threat to humans. You will find it in tropical oceans. It has a large mouth at the front of the head. Its sides and back are brown to gray with different pale yellow horizontal and vertical stripes with white spots and a white belly. Its two fins are facing rearward on its body and end in the dual-lobbed tail fin.